One of the best offerings by a Kwaito cat, Mdu’ s Let Mdu Jam The Other Side (1998). Hier ke lahlile side, moer! Pelo e ya baba, kudu. Mara go tla loka. 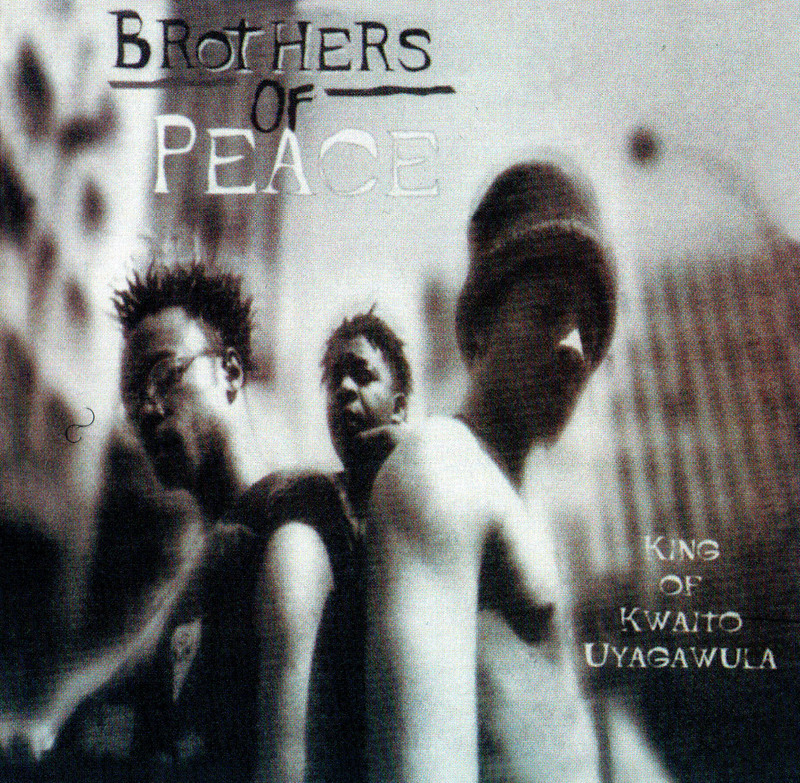 King of Kwaito Uyagawula (1996) by Brothers of Peace is an album that put on wax the first record label war in Kwaito. It was raw, angry and direct. One of the most lyrically rich Kwaito track of the 90’s. Listen to the track here. Okapi clocked at the then media-anointed ‘King of Kwaito’, Arthur Mafokate, the title track sounds like a Kalawa mob justice via Yizo Yizo’s Mr. Nyathi street union. The disses are point blank, wordplay clever as ever. Then Oscar goes to list Arthur in the shout outs and declaim ‘Unity as Strength’. Its no surprise Kalawa still rules, and evolved without (too much) sweat over the years. Yet, isn’t it ironic that such a powerful offering was talking to Mr. Soweto? The first Kwaito cat to confront racism in song, unTRC nogal? On the eve of the Rainbow Nation chorus? I will be exploring this take in the text for the Ten Cities project, the home page will mainstream.